For the past few seasons, the NASCAR XFINITY series had used the slogan “Names are made here.” All it takes is a walk through the garage to see this seems to be more true than in years past. 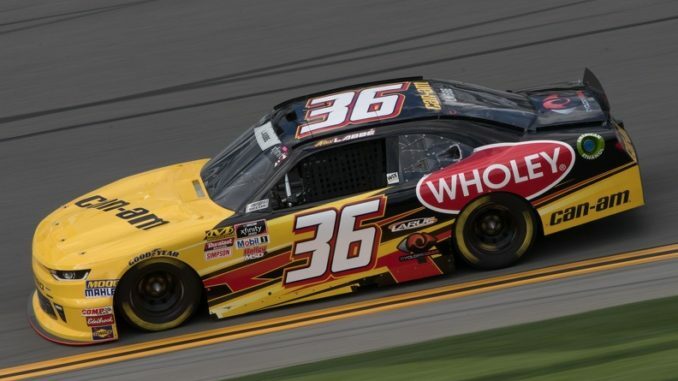 This weekend’s opener at Daytona International Speedway has 46 cars entered for 40 spots, a common sight at Daytona, with teams and drivers knowing that this might be their best chance at winning. The XFINITY series has had a few major changes during the off season that will make the field more competitive. These changes include the addition of two new teams, NXT Motorsports and J.P. Motorsports. Gray Gaulding will be behind the wheel of the NXT Motorsports No. 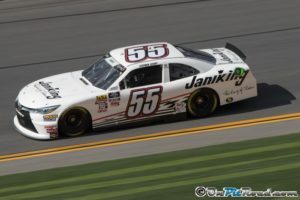 54 Entry while J.P. Motorsports is entering the series with full-time cars, the No. 45 with Josh Bilicki and No. 55 with 2012 Cup rookie of the year Stephen Leicht. The 2017 NASCAR Pinty’s Series champion Alex Labbé will be joining the series full time this season driving the No. 36 for DGM Racing. DGM owner, Mario Gosselin, was Labbé’s crew chief when he won the Pinty’s Series championship. Gosselin will also take on the role as crew chief for the season opener Saturday. Vinnie Miller and Matt Mills joined JD Motorsports. Mills isn’t approved to drive at Daytona, so veteran Joe Nemechek is driving the No. 15. Matt Tifft joins Richard Childress Racing in the No. 2. Tyler Reddick Joins JR Motorsports in the No. 9. Kaz Grala also made the move from the Truck Series. He will drive the No. 24 for JGL Racing. Chad Finchum will join MBM Motorsports in the No. 40, going for Rookie of the Year. David Starr moved to the No. 52 Jimmy Means Racing entry. 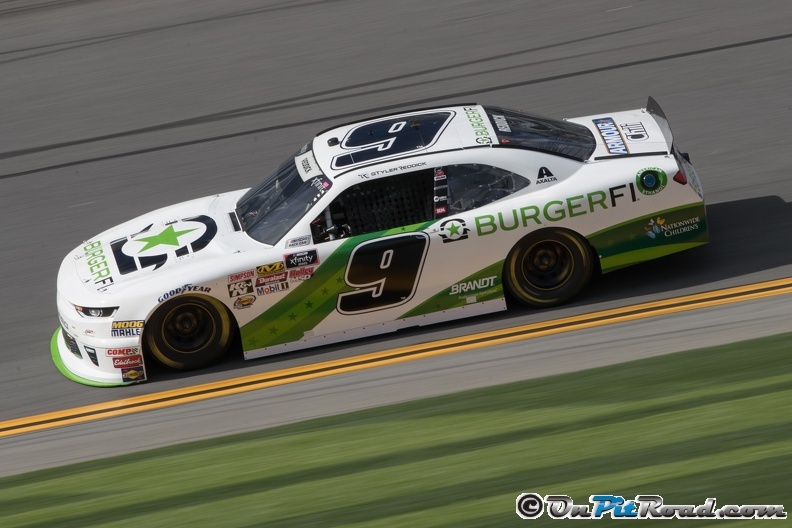 Starr replaces Joey Gase, who left Means to compete for Go Green Racing. Spencer Boyd joined SS Green Light Racing with plans to run the entire season. Caesar Bacarella joined BJ McLeod Motorsports with plans to run the full season. Austin Cindric plans to run the full season with Roush Fenway Racing and Team Penske. He’ll split his ride at Roush with Ford development drivers Chase Briscoe and Ty Majeski. Qualifying for the PowerShares QQQ 300 is Saturday at 9:35am.